The idea is so simple Bonnie Ste-Croix can’t believe there isn’t one in every Halifax community: a multi-service roundtable. More than 35 years after Spryfield began its roundtable, Ste-Croix is thrilled to see a copy pop up in the North End. On Jan. 7, Lisa Roberts led the first North End Multi-Service Roundtable. The concept is no more complicated than community members sitting around a table, introducing themselves and their affiliation, and outlining how they require — or might be able to offer — assistance. The first meeting attracted 16 people from as diverse groups as the Ecology Action Centre, Halifax North Memorial Public Library, Needham Centre and North End Parent Resource Centre. It also attracted Coun. Jennifer Watts, community advocates and people who work in the area. 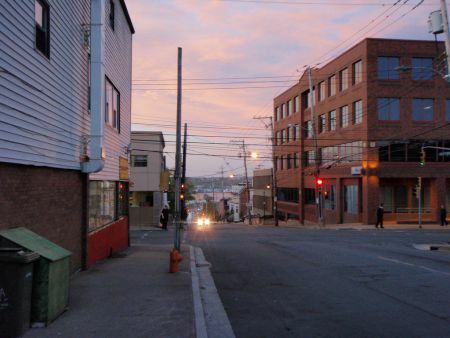 Given the Chebucto Connections roundtable’s success, Roberts has high hopes for the North End iteration. The Spryfield roundtable was born before Chebucto Connections was a formal organization. Ste-Croix said it has gone through multiple transformations but its core concept has remained. It now attracts anywhere from a dozen to 40 people monthly. The roundtable has proved to be critical to keeping a pulse on the community’s important issues. “What will happen is certain issues that are common or that are surfacing in the community start bubbling up through conversations in this meeting,” said Ste-Croix. Children’s mental wellness, for instance, was a common point at meetings. The roundtable formed a sub-committee on the matter, which spawned an anxiety reduction program for children in Grades 3 and 4 at eight local schools. The casual atmosphere of the roundtable, with opportunities to mingle after the official meeting has finished, spawns more acquaintances and partnerships. “I am so happy to hear the North End is doing it,” said Ste-Croix. The next North End Multi-Service Roundtable takes place Feb. 4, 9 a.m. at Veith House (3115 Veith St.). The meetings will occur on the first Tuesday of the month, always at that location. You can also sign up to receive the meeting minutes. Follow Natascia Lypny on Twitter @wordpuddle.